Home Security is a concern for many Pittsburgh area homeowners because crime does not discriminate. It doesn’t matter if the home is situated in a middle class neighborhood in the city or a more upscale community in the suburbs, thieves invade homes of every economic stature. Any home may be a potential target for criminals. Below are some security tips that you may find helpful to keep your family safe. The first step in making your home more secure is to be aware of potential problems. Make certain to lock your doors when leaving home. As well, lock doors any time you are preoccupied to avoid someone slipping in undetected. This does not only mean at night while you are sleeping. Make certain that the doors are locked before you get into the shower, when you are working in a home office, or any time that you may not hear someone outside the home. Windows are another area of concern. Be certain that each window inside your home has adequate locks. Keep them shut and securely locked just as you would your doors. Locks are a starting point in home security. However, they may not offer enough protection. A home is more secure when windows and doors are adorned with alarms. Alarms can be provided by home security companies. A home security system can supply a vast array of protection against criminals. 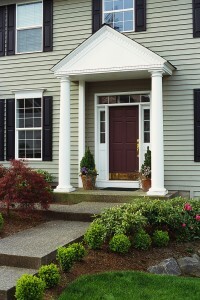 Home security systems offer alarms on doors and windows. The alarms will alert a 24 hour monitoring center any time that these areas are disturbed. This includes tampering with doors and the breaking of glass windows. Home security companies like Barrier Protection Systems also offer indoor/outdoor security cameras. These can be a wonderful tool in deterring and catching home intruders. These cameras will allow you to see the outside perimeters of your home while safely inside. Investing in a home security system is a wise choice. The service is inexpensive and well worth what you do pay for it. Most potential invaders will avoid a home if they know it is equipped with a burglar alarm system. These systems may stop an invasion before it even begins, so contact us now for a free consultation.